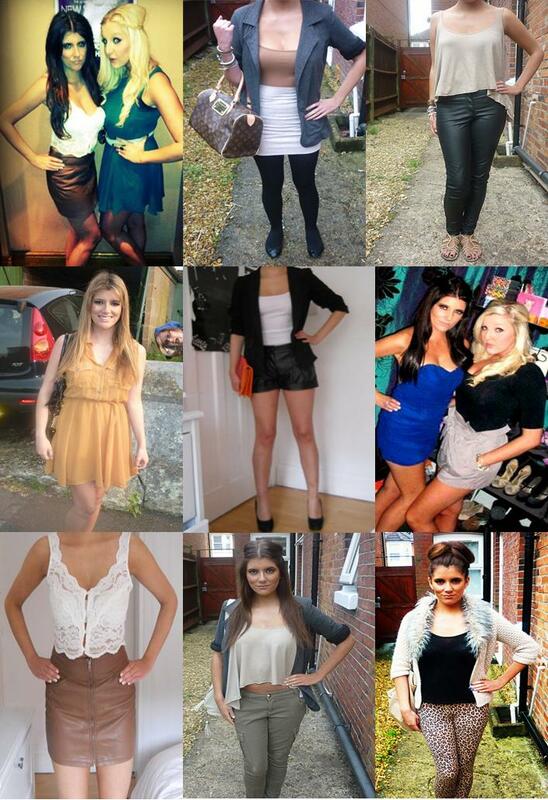 So this is part two of my blog post today, I thought it would be a nice idea to do a little summary of my 2011 outfits. I must say, looking at the photos, I think I have a obsession with those green military trousers... If I never saw Cheryl Cole wearing a pair, I would have never bought them. I suppose I have no choice but to blame her for my trouser rut! ;) Another New Years resolution is to take more pictures! I have been terrible at keeping track of my outfits lately - I blame uni work. My least favourite outfit has to be the camel coloured dress from Primark. When I bought it, I knew I was going out of my comfort zone but it's nice to mix it up sometimes. Maybe the thing that's really bugging me is my hair colour..please remind me to stick to being brunette. I wish I could pull of the golden blonde look! I think one of my favourite outfits is the leather skirt and cropped bralet top - courtesy from my mother ;) I love how well the brown and white go together. I love all your outfits especially 2 and 5 they are gorgeous! You have a good style , love your camel dress :) !